Steven Posch has a brief article on what he calls witchsploitation. You know the genre. Wicker Man I (“the one without Nicholas Cage,” as a local movie marquee put it during the midnight Samhain run last year), To the Devil a Daughter…so many to choose from. Somewhere off in the sticks there are (bwa-ha-ha) still real, live witches (or left-over pagans) and they still practice…(shudder)…human sacrifice. Whoa, dude, way scary. A coven-sib recently confessed to me that her bookshelves are filled with trashy novels with the word “witch” in the title. Magenta, you’re not alone. I resemble that remark myself, and I’m sure I’m not the only one. The most amusing are the ones written by people who have done just a little research. Remember that 1964 cauldron-boiler Book of Shadows? In the opening scene, police are called to a gruesome murder in NYC’s Central Park. A man has had his belly ripped open, his guts nailed to a tree, and he’s been forced to walk around and around the tree wrapping a grim maypole with his own intestines. I’m planning on attending the local Pagan Pride Day this month, and I want to wear my Toga. But I don’t want to wear my tunica. So we have a problem. I’m not officially a member of Nova Roma, so I don’t have to abide by their rules. For that matter, I’m not sure what their rules regarding wearing the toga are. But I’m pretty sure that if you wear a toga, you are supposed to wear a tunica under it. So I’ve been thinking about the nature of a reconstructionist religious movement, and how far we should take it. The toga wasn’t necessarily a religious garment as much as a cultural one. When in prayer you wore a nice one and covered your head with it. But you know who else wears nice clothes and cover their heads during prayer? Lots of people. I want to revive the worship of ancient gods. I want to honor them in appropriate ways that they will respond positively to. I do not want to live as a Roman did 2000 years ago. Don’t get me wrong, my tunica is really comfy and I love wearing the thing. But I don’t have the desire to wear it in public for that particular event. It’s more of an after-work sweatpants substitute than something I am willing to wear at a high-profile event. I’d wear it to an event like Heartland Pagan Festival, but there is a far different social system in play; besides, half the people there are naked anyway. But the toga demonstrates a cultural identification I want to represent. As a reconstructionist, it is implied that I should desire to completely and accurately duplicate all aspects of the culture I am reviving. But in practice, no one expects that. I wear glasses, I don’t slaughter cattle to Iuppater, and I don’t own slaves. So why should I wear 2000 year old fashion? And here’s my thought: This isn’t the SCA. This is my effort to reconnect with gods I know to be there that speak to how I function in the world. What am I reconstructing exactly? The glory of a culture long past? Religious practices and cultural traditions that modern society would cringe at? And that’s why I will often say that my religion is a modern adaptation of the ancient one. My goal is not to recreate the ancient practices exactingly. My goal is to approximate what those practices could have developed into had they not been interrupted, appropriated, and repressed by Christianity. How would the Roman culture have changed over the centuries? Well, let’s look at where it was and at how it did change, and where it is now, and then reintroduce some elements of the old religion in. We find that family and hospitality are still important, that people are still “superstitious” and respect and honor the dead. We find that many traditions are still extant in some form, and others can be readopted with little adjustment. And other changes are strong and should not be messed with. Fashion, however, is something that changed greatly and probably would have changed anyway. 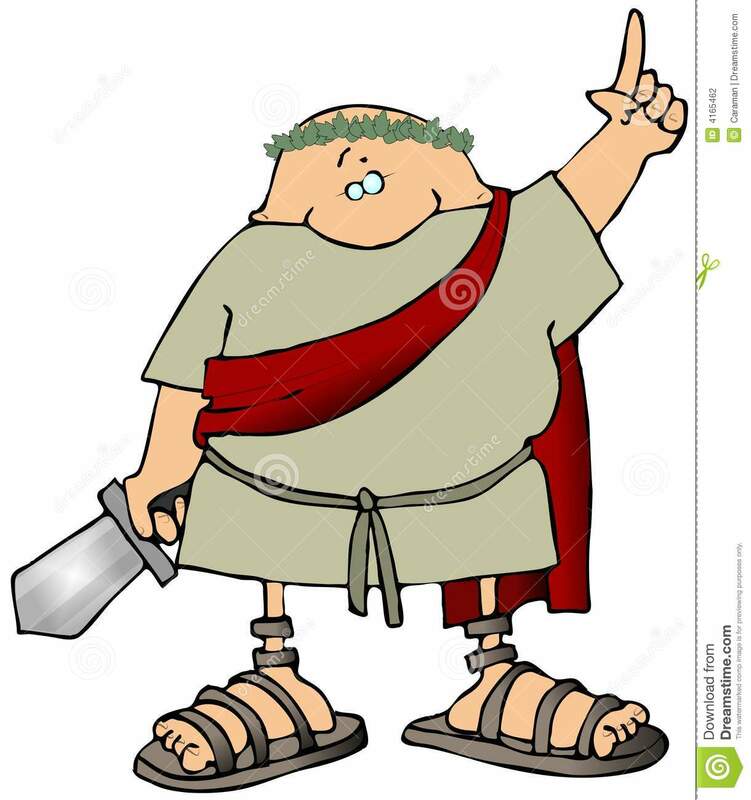 The Toga was the ancient equivalent of a nice suit jacket. I see no problem with wearing it as if it were one, over normal dress clothes. The toga was abandoned on its own, although I think it’s a great identifier to readopt. But like the kilt, it can be modernized and adapted. Just like we’re doing to every other aspect of that society. And to be fair, I think for certain events or positions its just fine to wear a tunica. Just as a Catholic priest wears ritual garments hundreds of years out of place. But for non-ritual events, I don’t see it as necessary. So my religion is more like science fiction that I’d like to admit (as the Chaoist in me giggles). What would a non-Christian Rome have turned into? How can I flavor my worship with that? I’ve got a lot of thinking on this to do. I’m not a nudist. I burn too easily. I blame my Celtic heritage. But there seems to be an expectation among pagans that by nature of being pagan, you shun clothing. At the clothing-optional pagan events I have been to, I have encountered the expectation that I remove my clothing, and even had to defend my decision not to against accusations of sexual repression, bad body image, and the like. Wiccan covens that engage in skyclad ritual aside, there really isn’t anything about being pagan that equates to being a nudist. So where does that expectation come from? Sounds like an excuse for a video!